Ayrton Sweeney and Lara van Niekerk added two more gold medals to South Africa’s tally at the CANA Africa swimming and open water championships in Algeria on Thursday. There were also two silver and three bronze medals on the fourth day of swimming action in Algiers. Sweeney finished the 200m breaststroke with a new Championship record time of 2min 14.04sec, winning his second gold of the competition, ahead of Tunisia’s Elloumi Wassim in 2:15.76 and SA’s Alaric Basson, who scooped the bronze in 2:16.16. Sweeney and Basson also raced in the 4x100m freestyle relay, where the team, including Jacques van Wyk and Matthew Bowers, walked away with the silver medal in 3min 26.80sec. Van Niekerk continued to impress when she swam to another gold medal, this time in the 100m breaststroke, clocking 1min 11.13sec, while teammate Jade Simons claimed the bronze in 1:12.19. The silver was won by Egypt’s Rowida Hesham in 1:12.01. In the 100m butterfly, Erin Gallagher finished second in a hard-fought race with Egypt’s Farida Osman. Gallagher touched the wall in 1min 00.45sec to Osman’s 59.03, while the bronze medal went the way of Algeria’s Medjahed Nesrine in 1:04.74. It was bronze for Janie Coetzer in the long-distance 800m freestyle, concluding the race in 9min 12.79sec behind Egypt’s Hania Moro in 8:56.95 and Algeria’s 9:01.68. 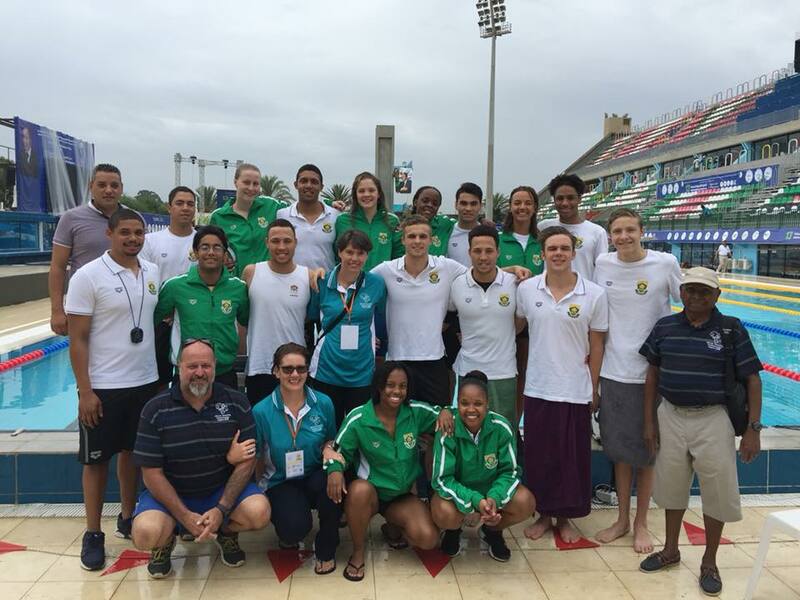 After four days of swimming, SA have edged closer to Egypt on the medals table. They now have 29 medals (nine gold, 12 silver and eight bronze) to Egypt’s 30.